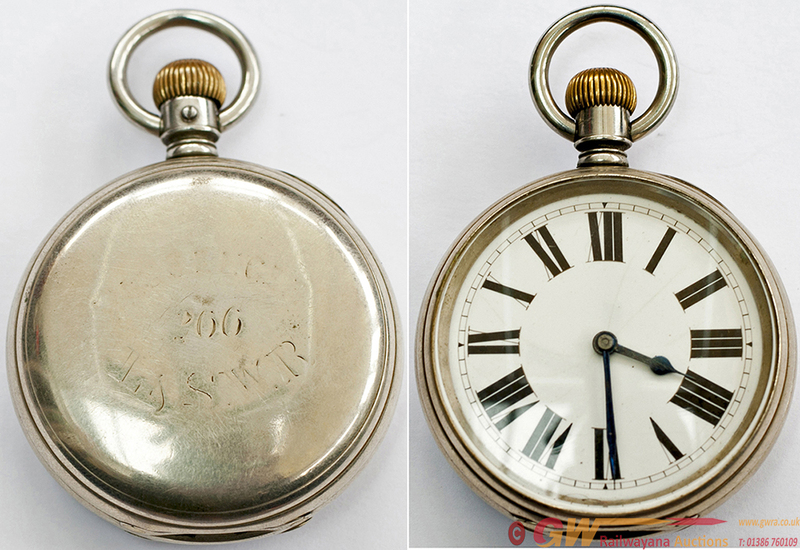 LSWR Pocket Watch, by the American Watch Company Waltham Massachusetts. A good quality watch with top wind and set. The dial is free from chips, the nickel case has matching numbers 465 to all parts, and L&SWR PASSENGER 266 hand engraved to the back although now this is a little worn, the numbered movement 10310227 is fully signed AM Watch Co Waltham Mass, this dates the watch to the later part of the 19th century. In good clean working condition, although the top winder is a little loose.